Watch iTunes movies on any digital device, - anywhere! Remove DRM protected from purchased iTunes movies with ease. Most of the people who spend their money in order to purchase iTunes movies are looking forward to convert them into MP4 format. That’s because the DRM copyright protection delivers lots of restrictions to the media files and the users will not be able to play them as the way they want them to be played. These iTunes movie files come in M4V format and you would not even be able to copy them to other devices that you have around home and play. Therefore, you would want to convert them into DRM-free MP4 format. Many different methods are available for you to convert DRM protected M4V files that you have into MP4 format. Using a tool that has specifically been designed to achieve this functionality can be considered as the best option out of them. These files have the ability to convert the DRM copyright that you have in a smooth and efficient manner. You just need to import the media files to the tool and it would convert all of them in a breeze. However, you need to be careful in order to select a reliable and user friendly tool to achieve the above mentioned functionality. 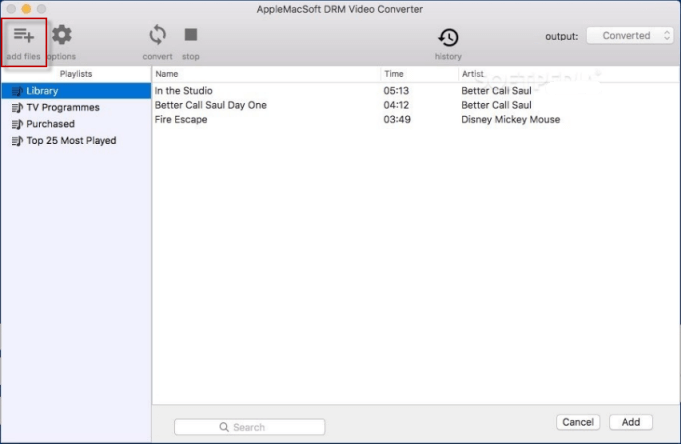 If you are looking or the best tool in order to convert purchased iTunes movies to MP4 on your Mac, DRM Video Converter by AppleMacSoft would be the best option available. It comes along with a variety of impressive functionalities, which can assist the users to keep peace of mind. Using DRM Video Converter can also be considered as a legal method available for you to remove DRM from iTunes movies and convert them into MP4 format. DRM Video Converter is identified as an efficient tool available for the people to convert M4V media files into MP4 format. In fact, this tool offers batch conversions and the users will be able to convert their files 30 times faster. Therefore, people who use this tool will not have to go through any frustration in order to convert the media files and introduce the ability for them to be played on any device. Moreover, this tool has been designed in order not to break the Fairplay DRM protection technology introduced by Apple. Therefore, your media will would never be modified and you will be able to get the same experience. The quality of the media files will not be reduced as well. Therefore, you will be able to enjoy 1080p videos in the way that you downloaded them to your iOS powered device. 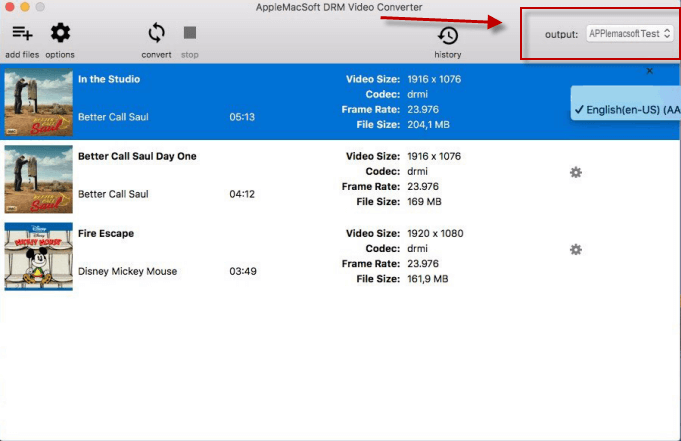 You can convert purchased iTunes movies to MP4 in three simple steps via DRM Video Converter. Step 1 – You need to add all the purchased movies to the application interface. Click "add files" button on the upper left, and then you will find purchased movies from your iTunes library. 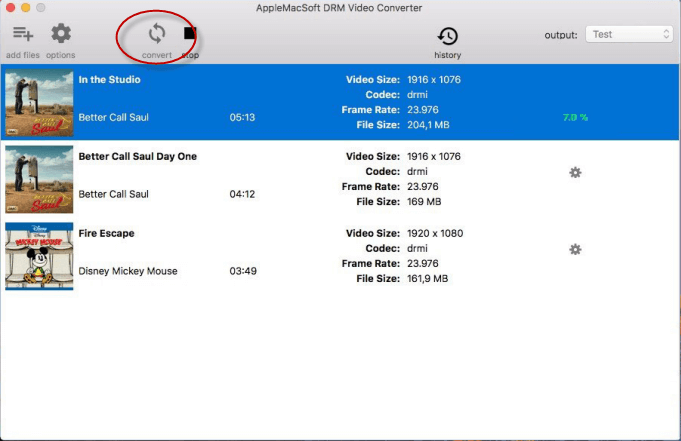 Step 3 – This is the final step, where you need to hit the “convert” button in DRM Video Converter to initiate the conversion process. After conversion, you can find the converted MP4 videos by clicking the "history" button and then you can transfer the DRM-free iTunes movies to any digital devices and players as you like. DRM Video Converter comes along with an intuitive and user friendly interface as well. Therefore, you will not have to go through any hassle when you are using this software. It is compatible with the Mac OS as well and converting iTunes movies would be a smooth experience for anyone who uses it. Ready to try it out? 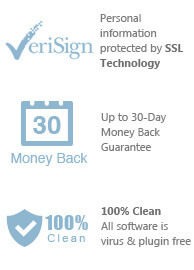 Start a Free Trial Now. How to Remove DRM from old iTunes songs on Windows? How to Convert iTunes playlist to MP3 on Windows? Remove DRM copy protection from iTunes video on Mac. Apple iTunes must be installed. You can immediately download the latest version of the DRM Movie Converter and start to playing iTunes movies on android device right now ! Copyright © 2006 - 2019 AppleMacSoft. All rights reserved. Apple, Macintosh, Mac, iTunes, iPad, iPhone and the Mac logo are trademarks of Apple Computer.